“Even though we come here with different issues, we are here to achieve the same goal. 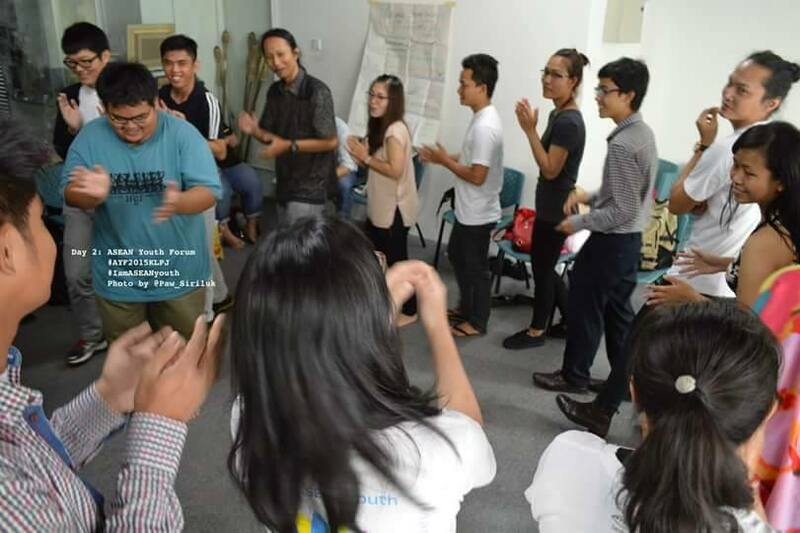 We work to strengthen a common ground of respecting, promoting, and protecting human rights of all people in this ASEAN region,” said a young human right defender at the 2015 ASEAN Youth Forum. These inspiring words given by one of our strong regional teams who welcomed all youths, in a small room at the first day of the ASEAN Youth Forum (AYF) 2015 in Kuala Lumpur, Malaysia. All the youths were doing activity to strengthen “UNITY”. AYF, Kuala Lumpur, Malaysia, 2015. Here, there were youth representatives from all ASEAN countries, namely, Cambodia, Vietnam, Laos, Thailand, Burma/Myanmar, Malaysia, Indonesia, Philippines and Singapore. They came to share the issues from their experiences and to exchange opinions enthusiastically. During the forum, various issues came up related to human rights abuses including women and child abuses, democratization, freedom of expression, gender, education, religions and environmental issues. Young participants discussed how could we work together to prevent human right abuses, and to promote people’s rights across borders. In the ASEAN community, any problems happening in one country are not isolate from other countries, but they are really relating to the whole region. At the 2015 ASEAN Youth Forum, I was surprised about many cases that my fellows shared. They talked about their experiences and opinions. Some cases happened in our ASEAN region for a long time, but only I heard about those things at the Forum. That made me think of how much I really know about ASEAN, and how much the other youths in my country know about these cases. In my country when we talk about ASEAN, my youth friends often mention that ASEAN community will be a good process for economic development, but they rarely mention about environmental and human rights violations that typically comes with economic development projects in our region. I asked myself, how many of them would understand or even paid attention to human rights and environmental issues? Is this lack of understanding part of our political and freedom expression limitation? Are there laws that restrict youths in my country to raise these critical issues? “How can we become one community while some countries are still fighting on the border and use military power to oppose each other because of high authorities want to get benefit from that and fight to get more territories?” a friend who live in conflict area of Aceh, Indonesia, strongly expressed. From that point, I totally agreed with her and cannot stop thinking how can ASEAN be one community peacefully while there is still violence and oppression elsewhere? During the two-day ASEAN Youth Forum, I also shared about destructive development projects that have violated people and environment for the past decade in the Mekong Region. I mentioned how much hydropower dam projects have threatened people and will kill the Mekong River, the mother of all rivers in Thailand, Laos, Vietnam and Cambodia. Our countries share the same river. Another ASEAN fellow from Malaysia further explained the situation happening in his community in Sarawak, where the Bakun and Murum Dams brought disaster to the environment and the people who live there. He said that the case like Bakun dam is very sad, the villagers did not receive a fair compensation from the government after the relocation. “The benefits are not for community in Sarawak, the dam only destroyed our livelihoods. From now we will not allow the next dam to be built, the Baram must be stopped”, he said. I then realized that in our region, hydropower is not only a problem for our Mekong countries in this region, but it is a crucial problem of the whole ASEAN region. 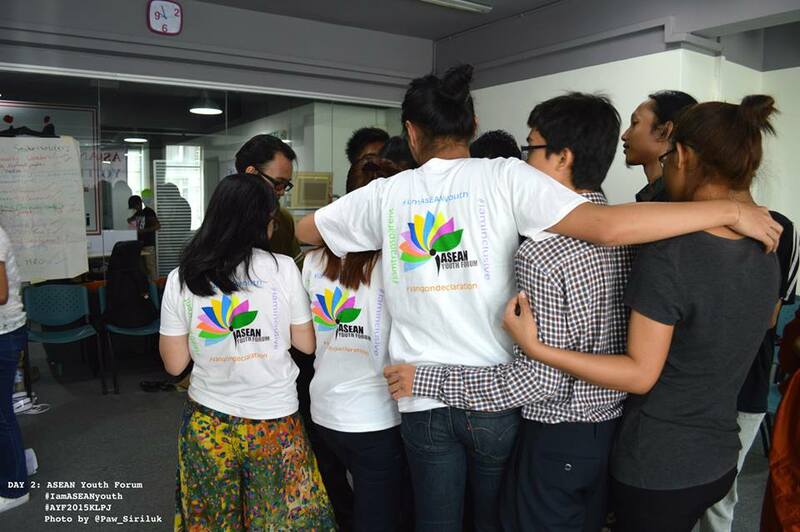 The ASEAN youths together were holding each other to be the one to protect human rights in the region. AYF, Kuala Lumpur, Malaysia, 2015. When I was a student at the Mekong School, I learned a lot about how destructive development projects such as hydropower dams and mining can threaten the well being of the environment and the people along the Mekong River. Therefore, when I heard stories from ASEAN friends at the AYF of how a development project violated peoples’ rights and destroyed their livelihood, I thought “we have many things to do together, to do some networking and to build up a network to protect our environment as well as our peoples in this ASEAN region”. 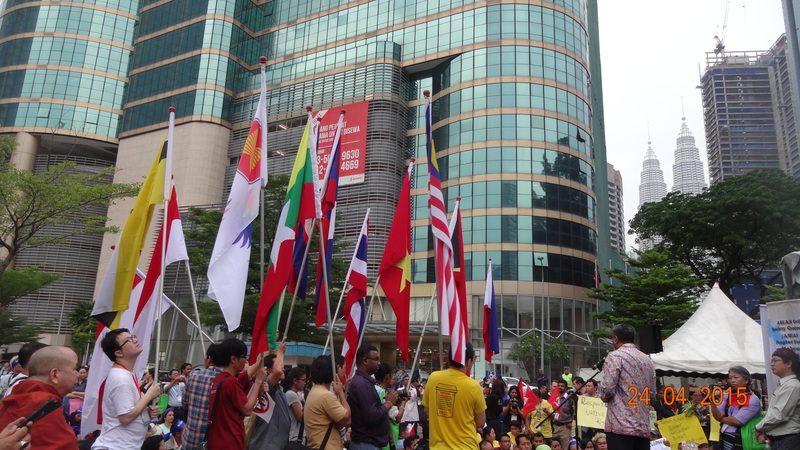 Many youths from ASEAN are very brave to stand up to claim their rights. Many young human right defenders are facing risks, but they do not give in or give up. We have experienced and seen many human right defenders are threatened by forced disappearance and even got arrested, and were killed. For example, a case of Mr Sombat Somphone, he was forced-disappeared in Laos, in 2012.Stilltoday, we do not know where he is at the moment. Also, a recent incident in Burma/Myanmar, students were arrested and tortured after they protested against the Education Bill. What I want to see from an integrated ASEAN community is the security of people especially youth human right defenders, to ensure that they can protect their rights and be treated without any discrimination. Specifically countries under oppressive regimes, young human right defenders protection should be emphasized on the ASEAN’s agenda. It means that young human rights defenders can feel safe in continuing working in their community, countries, and in the ASEAN region. We are the youth of ‘Now’; we are part of the ‘society today’. We are working towards for a better world. We have ability, energy, and passion to participate in all decision-making procedures, because we want youths’ voices to be included in all policies that affecting us. Dokkeo Sykham is an independent researcher. She is based in Laos focusing on environmental and social impacts from hydropower development.